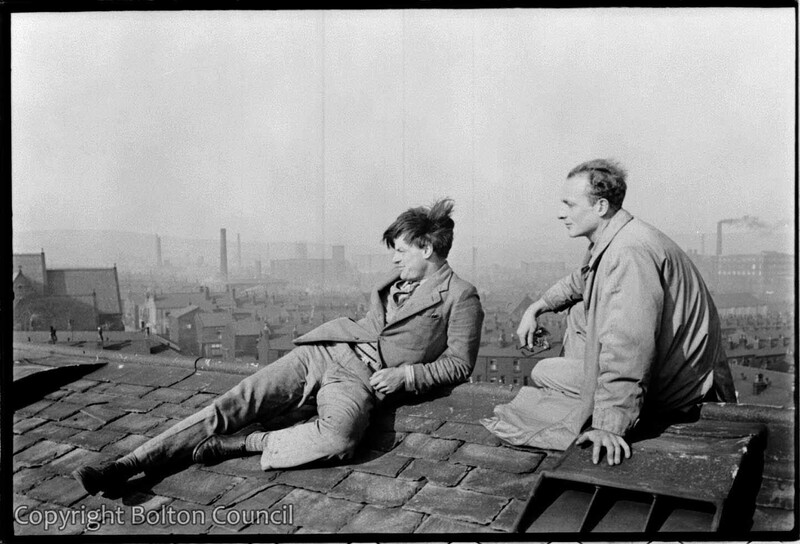 Artist Graham Bell (left) and Humphrey Spender (right) on the roof of Mere Hall. Bell was invited to paint in Bolton for Mass Observation with his friend William Coldstream. Bell’s painting ‘Thomasson Park, Bolton’ is now in the collection of the Yale Center for British Art.